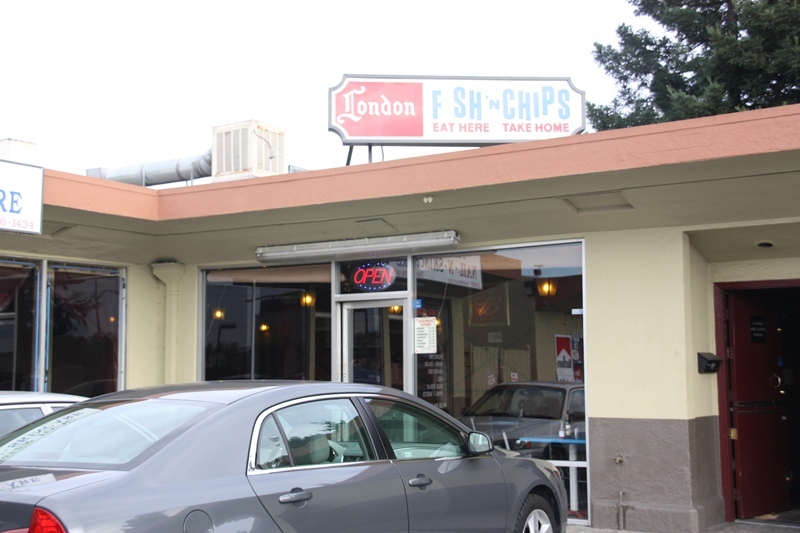 London Fish ‘n Chips can be found across the street from Kennedy Park on Hesperian Boulevard in Hayward. It’s inside a dingy, dated shopping center that characterizes miles and miles of territory along that route. I’d never even seen the place, much less heard of it; my friend Jon introduced us, touting it as an old family favorite of his. And so we went. This place is pretty classic as far as fish ‘n chips go. Old, dark, not modern, no atmosphere to speak of. It’s very small, so I was able to photograph the entire place in just a couple shots; see for yourself. 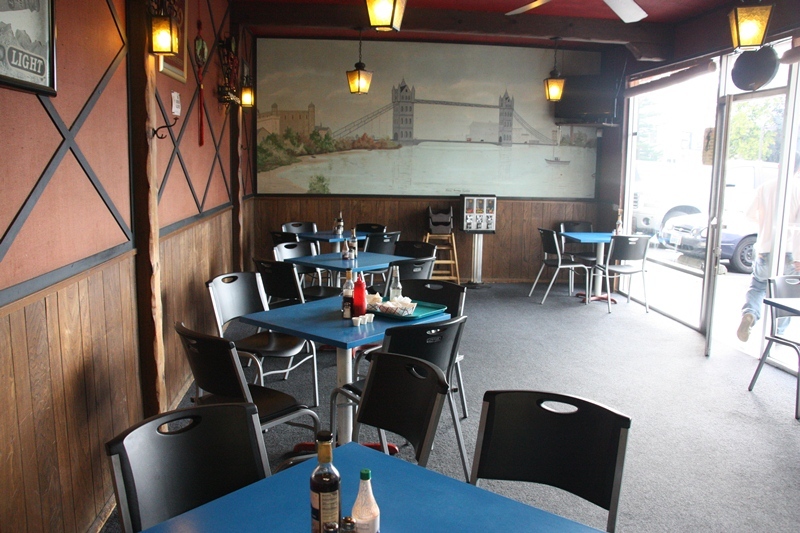 Seating area in London Fish ‘n Chips. The menu was simple and pretty cheap. I was there with a few people and we all seemed to keep it standard and order some classic fish and chips. It’s an order at the counter place and they do actually have two beers, I believe, on tap. the entire place is so simple it’s almost hard to find enough to type about…. Update: Art’s Crab Shak in Hayward is now closed. 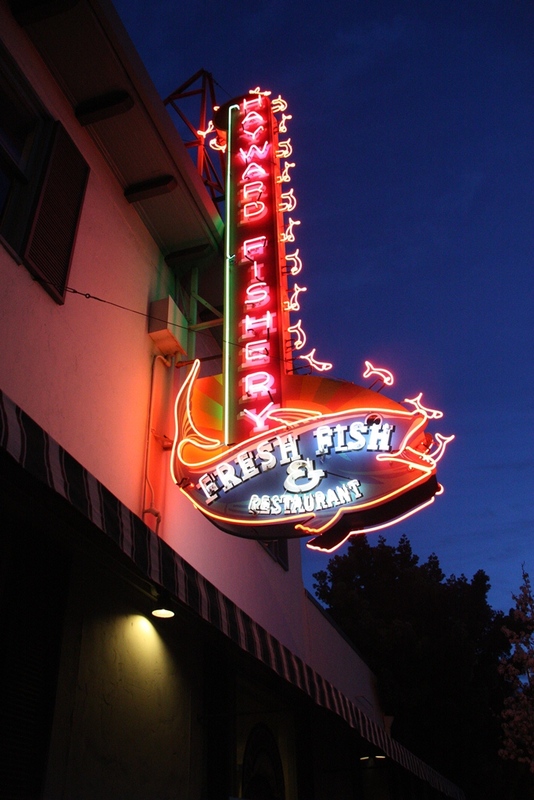 Art’s Crab Shak, formerly the Hayward Fishery, can be found at the corner of Foothill and C Street in Hayward. The Hayward Fishery was an establishment from my childhood and was immensely popular locally. I don’t know when it changed hands, but it seems different than I remember from when I was a kid (granted, that was a long time ago), and, in short, I wasn’t terribly impressed. Let’s discuss…. Shameless plug for my baby sis’s new bar Dark Horse Lounge in Hayward, NOW OPEN!! Formerly the Whiskey River Saloon at Hesperian and Winton, Jenny has transformed this old-west style bar to a more contemporary version of your local watering hole. With a new coat of paint, some new light fixtures and a hell of a lot of scrubbing, the Dark Horse Lounge is ready to serve you a drink starting today! They’re not serving food other than small nibbles at the moment, but come by for a cold beer, a cocktail or just to say hi to the pretty lady behind the counter (unless my dad is bartending… he’s not quite as pretty as Jenny). I’ll be stopping by today and I’ll keep everyone posted about any Grand Opening events or upcoming specials! Yeay for opening a business, see you at the Dark Horse Lounge!!! Times Visited: Once ♦ Will I Return? : Boyfriend likes it… so, yes. Dude. Family House of Fish & Poultry. Let’s not even begin to think this place has its own website. Or that you’ve ever heard of it, even if you’re a Hayward local. Since we went to FH a few weeks ago, I’ve been asking friends if they’ve ever been there. Not one of them even knew the place existed. 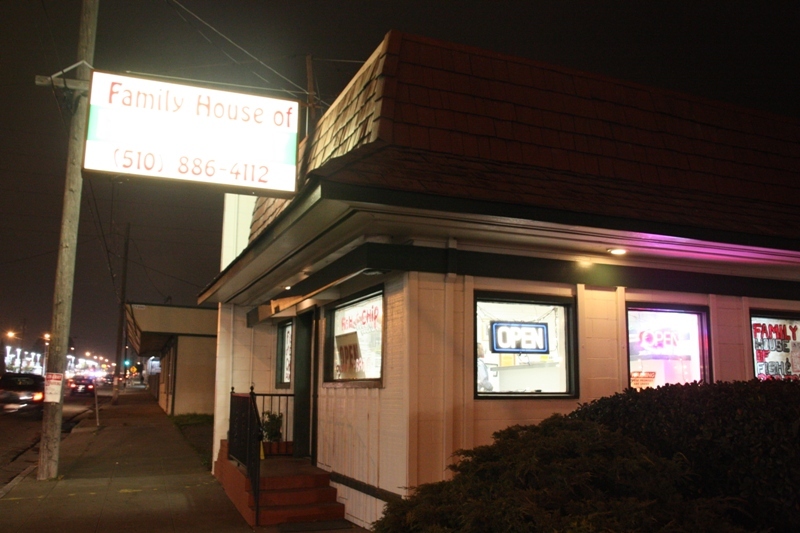 Family House is located centrally and prominently on Mission Boulevard in Hayward just south of Carlos Bee. Anyone who knows the least bit about Hayward could easily find it. Yet no one knows about it. 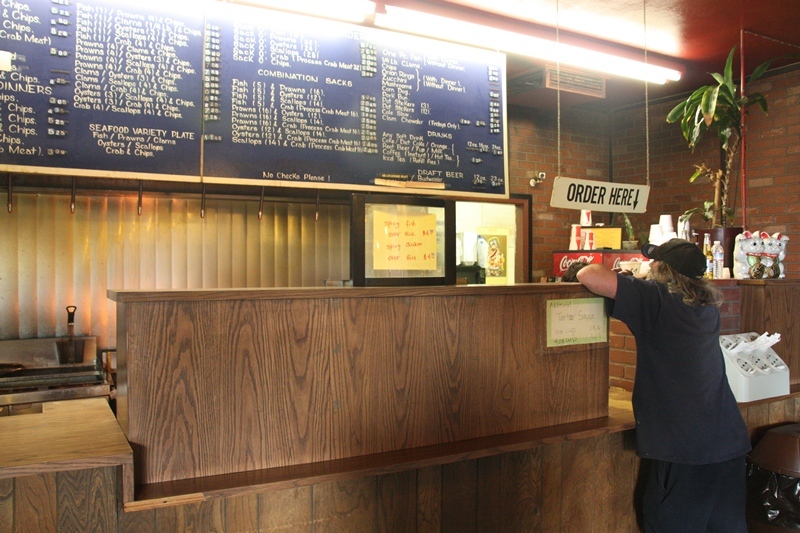 It’s the quintessential example of an Overlooked Establishment…. 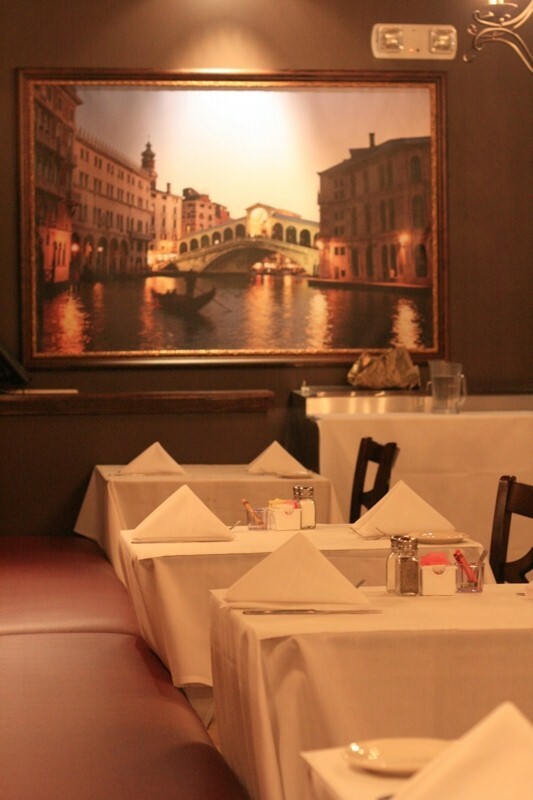 Hello again, Buon Appetito. 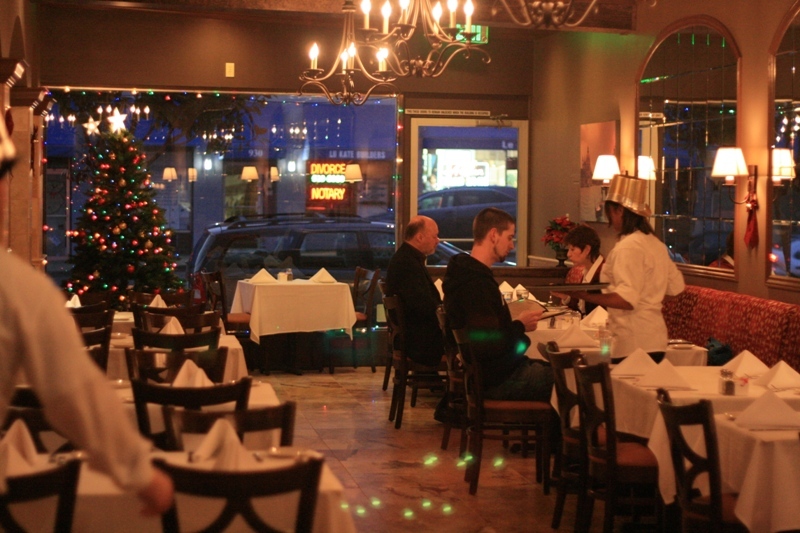 My first review of Buon Appetito in Hayward followed my first visit about this time last year. Since then we’ve been back a couple times and I wanted to report on the growth of this place for those who haven’t been in a while. Last time I commented on the new addition of the bar area to the main restaurant. They have now added a third space as they attempt to take over that entire tiny shopping strip. Sandwiching the bar area is a second seating area that could probably seat another 50 people easily. I didn’t ask who their interior decorator is, but it’s clear that they spared no expense — the place looks fabulous. 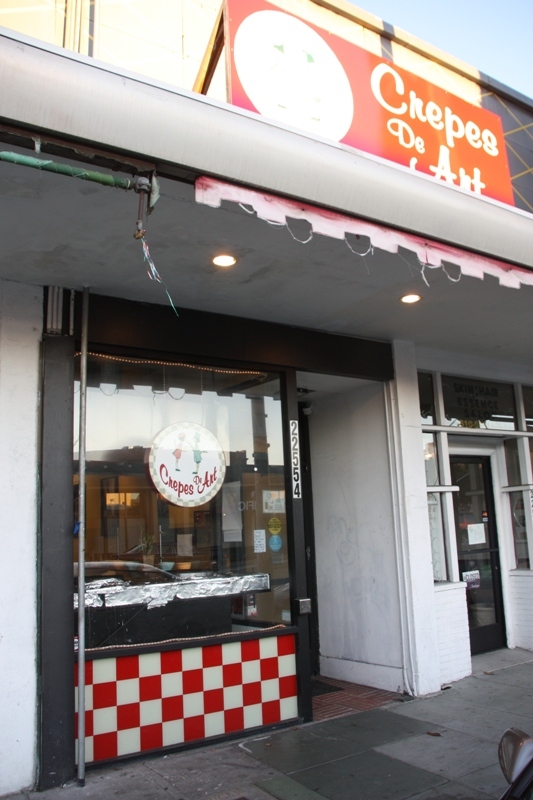 Update: Crepes de Art in Hayward is now closed. Crepes de Art is a creperie — yes, a creperie — in Hayward. You read correctly, the forces of the world have combined in statistically improbable ways and delivered a slice of French chic right smack in the middle of downtown Hayward. And I accept this benevolent gift with promises to keep crepe-ing it up so long as they stay in business. So, crepes. Have you met me before? It’s going to be hard for me to muster a complaint about anything crepe-related. Fortunately, I have no complaints about the crepes from Crepes de Art to date, they are quite good. The price is right (two crepes for around $11) and they are full of delicious foodstuffs as ordered…. Since Kokyo Sushi Buffet does not have a website, my previously posted Kokyo Sushi Buffet review has been receiving a lot of traffic, no doubt from potential customers. As my offer to create cheap websites for local restaurants has gone thus far unanswered, I feel obligated to update readers and google searchers about my findings regarding Kokyo Sushi Buffet. Update: La Imperial is now closed. La Imperial* in Hayward has been around since the ’70s as per the dot matrix printing on the front of their menus. This is a difficult review for me because, like some other Hayward favorites (case #1, case #2), I don’t really like it. But some people are wholly devoted to this place, per their Yelp reviews. And since there’s nothing wrong with disagreeing, I’m going to tell you my side of the story…. That’s right, this is the new sushi buffet place in Hayward! If you’re a Hayward-ite, you’ve driven by this numerous times; it’s the corner spot on the 2nd floor of the new shops surrounding the movie theater on B Street. 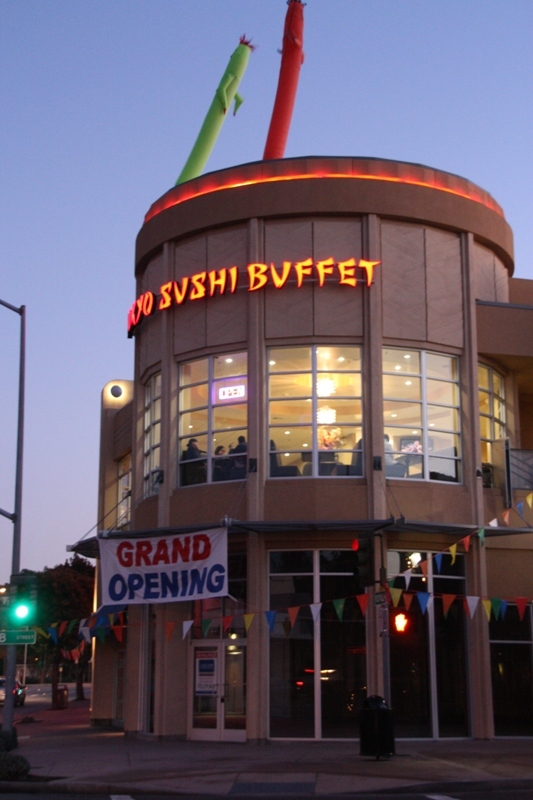 And if you’re not in Hayward often, now you know that we have something mildly awesome — buffet sushi! Let’s talk logistics. How does a sushi buffet work? I was skeptical because if there aren’t any patrons, the stuff sits there. And that’s no good with any food, let alone raw fishies. We went on a Sunday night and it was packed by the time we left (we were there early), and it’s been pretty full every time I’ve driven by. So, that will keep the food fresh right there, as long as it’s fresh to begin with…. 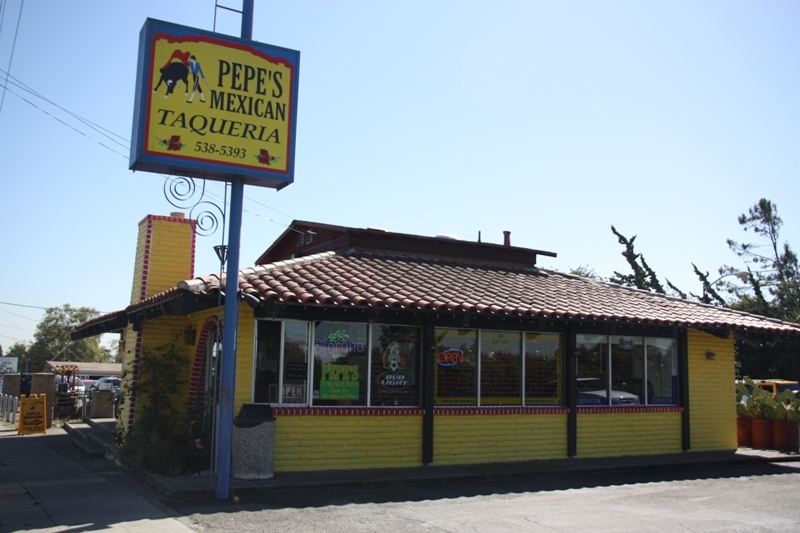 You may have noticed Pepe’s Taqueria on one of your millions of trips down Mission Boulevard (if you’re a Hayward frequent-driver, that is); it’s on the west side of the street between Harder and Tennyson (across and down a few blocks from Moreau). It’s a smaller place, but it’s got its own parking lot and it’s painted bright yellow so that it blends in a bit less with the flooring stores, consignment furniture lots and appliance outlets. The interior has a dated, fast-food feel to it; nothing special there for sure. But what did you expect from a taqueria in the bowels of Hayward? I was just excited that there was no bullet-proof glass between me and the cashier. The menu is posted above the counter and offers all the taqueria-style favorites (burritos, tacos and the like) for pretty cheap prices….